If you use the Who’s Viewed Your Profile tool on LinkedIn, you’ve probably noticed visits from Anonymous LinkedIn users. You know – the ones who frustrate you with “This member chose to be shown as anonymous,” while leaving only a gray, faceless avatar? But before you send negative vibes my way, I’d like to share with you why I’ve chosen this setting on LinkedIn. 1 – Anonymous users have a purpose that may surprise you. As an executive job search coach, resume writer, blogger, author, and LinkedIn Profile writer, I spend a good deal of time researching LinkedIn best practices and tools – focusing most often on those that will land your next job. In the process, I research many Profiles, especially as I hunt down the simplest ways for you to gain a competitive edge over your job-hunting competition. When others claim that your Profile can be private (it can’t) or that setting a unique Profile URL will help your search dramatically (it won’t), I’m conducting intensive research – backed by a former career in IT, databases, and recruiting. I also help moderate LinkedIn’s Job Seeker Premium Group, which is available only to Premium users. Fielding questions often means I’ll dig into various LinkedIn practices, or look at Profiles to see how they’re applied. Sometimes, this means repeated visits to user accounts, either because they keep popping up in my results, or because I’ve discovered a new tool I’d like to test. This accounts for the majority of my “lurking” activity. What I find benefits both me and my clients, and often appears in my many articles on the subject, as well as in Power Up Your Job Search With LinkedIn (to be released in early 2014). It’s my job to maintain expert knowledge of what happens on LinkedIn – without disturbing you or your fellow users. Therefore, my Anonymous viewer setting comes in quite handy. 2 – Anonymous users might want to hire you. Recruiters and hiring managers are also not in a position to reveal themselves as they surf LinkedIn for candidates, as they’re frequently visiting hundreds (if not thousands) of Profiles. Before you get up in arms about this practice, stop and think: if a hiring manager repeatedly visited your Profile, but never reached out to you (or worse yet, ignored overtures from you), would you feel better or worse? What if their visits didn’t stop? Would you continue trying to contact them, or become frustrated? It’s simpler for those in a hiring position to keep their Profile surfing confidential; doing so offers much less opportunity to encounter confused or angry job seekers. How many times have you seen a job ad with “No Phone Calls” in the description? Right or wrong, it’s the same philosophy. Hiring managers who are scouting LinkedIn for talent know what they’re looking for on the site. While checking out Profiles for a great candidate, having an open identity could prompt literally dozens of candidates to contact them – and then, their day would be filled just answering calls! While this activity may still seem suspicious, consider that you should WANT these Anonymous users to see your Profile. A recruiter or hiring manager could be curious about what you offer, and they may be lobbying their team to take a second look at you. Then, the hiring team (who may have also turned off their identities) will take a look at your Profile. It’s all part of commonly used hiring practices. 3 – Anonymous users may have ALREADY hired you – but now, they’re leaving. Many executives and hiring authorizes are engaged in a job search themselves, and frequently use LinkedIn to learn about competitors, recruiters, hiring authorities, Boards of Directors, etc. It makes no sense for them to reveal their activity. Many of these executives command teams totaling in the hundreds of employees – and you might be among them. If you knew your CEO was looking for another job, what would you think about your future at that company? A tip-off can easily happen if the CFO, COO, CIO, or CEO visits a few recruiter Profiles or repeatedly looks at recruiter accounts or users in a target company. One call to the company owner, a colleague, or an industry analyst – and the word gets out. These executives would be immediately dismissed if they alarmed shareholders or the public with job-searching activity. 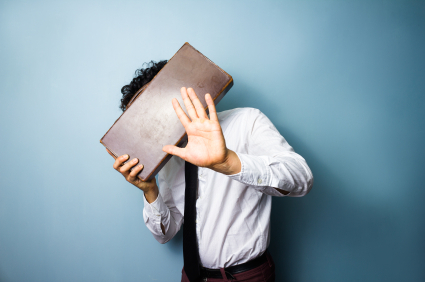 I advise my clients to turn off their identities for exactly these reasons. (Of course, we also turn off Activity Broadcasts and other telltale signs of LinkedIn life.) The same holds true for other users who don’t want word getting out, and fear any clues showing they’re ramping up their LinkedIn activity. So, my message is that Anonymous users are not the unwanted, suspicious characters we’re made out to be. We’re merely using the site the same way you do – as both a research tool and a way to find out what’s going on in target companies. A final note: if someone looks at your Profile anonymously, welcome it! A valuable setting to recruiters, HR, and you as a job seeker, the Anonymous capability allows many people to vet candidates and gain business knowledge, without revealing potentially confidential information. By being open to the possibility that an employer is trying to learn about you, you’ll start to see that Anonymous user visits can be a sign of success in your job search.